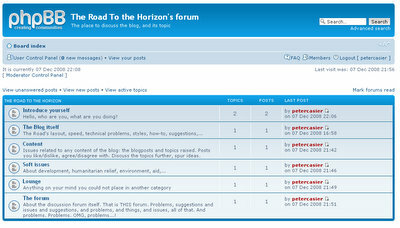 The Road to the Horizon: FLASH: The Road now got its own discussion forum! Flash update: The Road now has its own online discussion forum. One of the things I always wanted to do with this blog, is to create a community of people with common interests. Interest in any of the topics I write about. Be it aid work, development, social issues, environment, mixed with a bit of politics and activism. But a community of people who "look further than the length of their nose" (Flemish saying! ), people with an open mind. Also, I would like to create a more interactive dialogue with you, the readers. 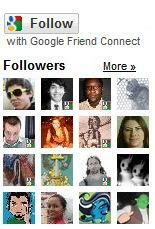 After all, there are 500 of you coming over to read the blog every day. There are between 500 and a 1,000 of you who visit The Road at least once per week. So that is a community by itself, no? The forum is the place to exchange ideas how do YOU think this blog can be made better. Anyway. The forum is very very fresh. The more people that join in, the more traffic it will get, the better the discussions will be.